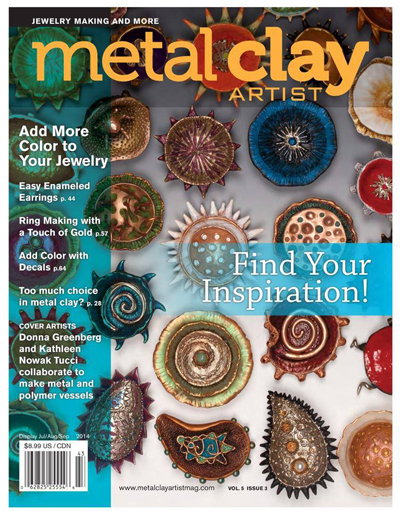 Metal Clay Beginner, Start Here! On this page you can find UK metal clay tool suppliers. US and international suppliers are listed separately, making it easier for you to find what you need. Also check the bead suppliers page as many of these provide jewellery making tools. All these suppliers will ship internationally unless otherwise stated. Content checked June 2018. UK supplier of beads including semi precious beads, glass beads, silver beads, gold beads, gold and silver clasps and findings, leather cord and tools. UK supplier of findings, metal, chain and tools. Buy direct from the website and register for trade prices. UK supplier of craft and jewellery benches including fold away benches. The Blue Peg Craft Bench is an innovative idea designed by a Master Model Maker for the discerning craft person. The bench folds away to make the best use of space and can, therefore, be used virtually in any room in the house, studio, workshop or school. Being foldable also makes it easily transportable to craft fairs. The bench top can also be fitted to a workmate. There is a great cross over between the tools used for metal clay and those used for cake decorating. UK supplier of charms, metal and glass beads, jewellery making components and findings and jewellery making tools. Suppliers of PMC, Art Clay, kilns, tools etc. UK Polymer and other clay supplier. 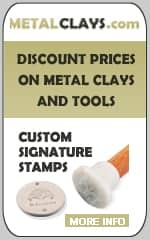 Also sell metal clay tools and texture sheets. 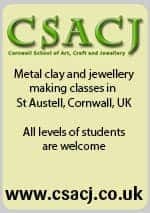 Metal clay and jewellery making courses and classes including beginners, intermediate and advanced level silver metal clay, Art Clay Certification, adding colour to metal, silver work, unique texture making, private classes and master classes. They also sell Drake and Dockyard carving tools. UK supplier with a full range of Art Clay, PMC, copper clay, bronze clay, kits, tool and moulds. Also sell wire and sheet metal, a huge selection of beads, findings and packaging. UK supplier of stones and cubic zirconia (CZ) as well as Art Clay, tools, kilns and more. UK supplier providing a fantastic choice of craft lamps, reading lamps, magnifying lamps and task lamps, most providing daylight output, in a range of shapes and sizes, all from major manufacturers, giving you quality and peace of mind when ordering. All items are sold with free P&P within mainland UK. Craftlights manufacturers and designers of Daylight Sewing, Reading,and Craft Lamps bringing Full Spectrum Daylight Lighting to the Crafting and low vision market. Recognising the need for Full Spectrum Daylight Lighting for Reading, Sewing Beading,even suitable for Sad users. CraftLights are well known for their high quality Aspheric Magnifying Lenses, and Magnifiers in general. Craftlights only use very low energy lamps in the products to help with our emmisions. Designed for artists, craftspeople and hobbyists of all types, CraftOptics Telescopes offer clear, hands-free magnification at an ergonomic working angle and distance. Comfortable, lightweight and easy to use, our telescopes bring out your best work and make your projects more fun. Creative Glass UK shop supplying Art Clay, tools, molds and accessories. UK supplier of jewellery making and metal working equipment and tools. Rolling mills, dapping sets, bench blocks, ring expanders/reducers, ingot moulds and drawbenches. UK supplier of rotary tumblers, magnetic polishers and ultrasonic cleaners. UK tool supplier. They supply tools for the model market so they are often small and precise, ideal for working with metal clay. UK craft supplier selling wooden beads, metal beads, acrylic gems and cabochons, plastic beads, glass, seed and bugle beads, sequins, bead thread and stringing materials, findings, components, stainless steel chain, jewellery making tools, metal sheet including aluminium, pewter and copper, friendly plastic, enamelling equipment including kilns, rubber stamps and stencils. Offers a custom stamp design service. Supplier of PMC, tools and polymer clay. UK supplier. Whether it is a hobby or a serious occupation, the prompt and professional service from George Weil provides high quality traditional craft supplies for felt makers, dyers, silk painters, jewellery makers, screen printers, weavers, knitters, modellers, paper makers, spinners – in fact, the range of craft materials are so varied that they can be applied to many other crafts. UK tool supplier of all kinds of jewellery making tools, benches, PMC and other supplies. UK based online craft store. Here you’ll find lots of rubber stamps and other card making supplies, tools, findings, chain, cord, wire and beads. Two ways of searching beads, by color or type. Acrylic beads, glass beads, Indian glass beads, Japanese square beads, seed beads, semi precious stones and beads and Swarovski crystals. UK supplier of art and craft materials, beads, metal and wire, findings, cold enamel and resin, tools and kilns, enamels and cord. Suppliers of all kinds of jewellery making tools. UK wholesale supplier of semi precious stone beads, beads and glass cabochons, pearls, coral and shell beads, Swarovski crystals, jewellery findings, wire and threading materials, tools, packaging and display supplies. Minimum order £25. UK supplier of Art Clay, gemstone beads, findings, threading materials, chains, jewellery making kits, tools and accessories. 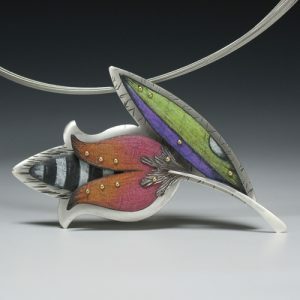 They also have a number of video tutorials showing basic wire working and beading techniques. UK supplier of crystals, gemstones, findings, silver sheet, wire and tools. UK supplier of jewellery tools, beads and cabochons, enamelling supplies, findings, kilns, metal and wire. Also supplies PMC kits. Supplier of Art Clay and basic kits and tools. Kernowcraft sells everything from PMC, natural gems and crystals to tools, findings and a huge range of beads. UK supplier of PMC, stones, minerals and tools. Suppliers of Art Clay, Bronzclay™, Copprclay™, tools, kilns, stones and findings. This UK dolls house site has a range of tools ideal for working small – just what you need when working with silver clay! 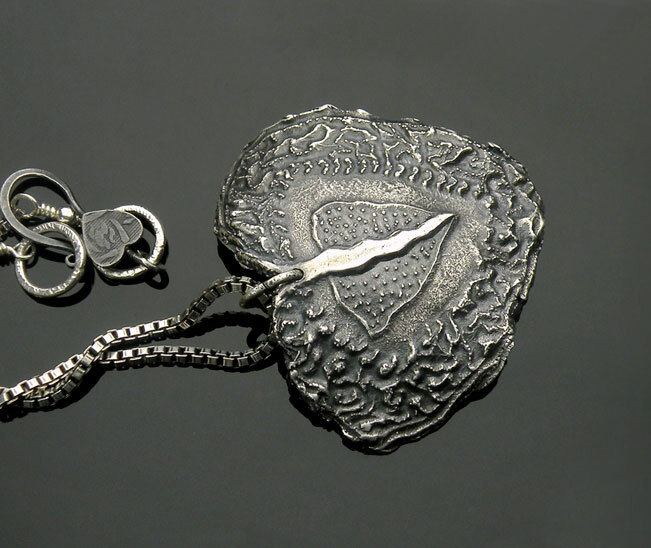 UK based supplier of Art Clay, PMC, official distributor of fine silver findings from Metal Clay Findings, bullion products and findings in carat gold, gold fill and sterling silver. Whether you are a Silversmith, Jeweller or Hobbyist Palmer Metals can supply sheet, wire and tube in fine silver, sterling silver, fine gold or carat gold and gold filled wire. Silver, gold and copper findings, chain and tools. Suppliers of Paragon kilns, ideal for metal clay, glass and enamelling. UK supplier of PMC, Art Clay, Bronze clay, tools, findings, cutters, textures and tools for working with metal clay. The official distributor of PMC for the UK supplies Precious Metal Clay, Prometheus Bronze and Copper Clay, tools, stones, photopolymer plates and kilns. Also run PMC Certification training. The PMC Studio also offers wholesale discounts. Tool supplier to the craft and hobby market. Supplier of PMC, Art Clay, tools, beads, chains, metal etc. UK supplier of tools and letter stamps. UK supplier of jewellery making tools and craft and hobby tools. UK suppliers of ProtectaClear, a tough, durable clear coating that will seal and protect silver, bronze, copper, brass, gold, and steel. Keep your metals looking freshly polished and patinas from from altering over time. 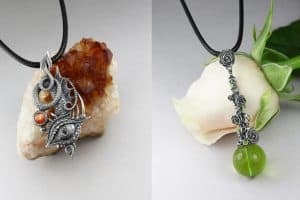 UK art and craft supplier – jewellery findings, beads, bead weaving, hot and cold enamelling equipment and supplies, resins, wire and cord, polymer clay and tools. UK supplier of kilns, polishers and other useful tools for metal clay artists. UK supplier of watch making and jewellery making tools. UK supplier with a wide range of tools including useful tools for crafts and metal clay. UK supplier with a huge selection of metal clay and jewellery making stencils and templates. Suppliers of fusing and stained glass, Art Clay and kilns. UK supplier of jewellery making tools, craft tools, cord and wire. UK supplier of geological and lapidary supplies including tumblers, fossils, storage and display boxes and jewellery. UK supplier of tools, beads, stones, cabochons, wire and metal. The Metal Clay Academy freely lists resources, teachers and suppliers and takes no responsibility for the quality of the services they offer. Teachers listed here are not endorsed or authorised by the Metal Clay Academy, we list them only as a service to you. Please read our guidance on choosing a metal clay teacher before booking. If you have a problem with any teacher or supplier listed on this website, please complain directly to them. If you found this website helpful, please send us a donation. We are a not for profit resource and need sponsors to support the work. Thanks!